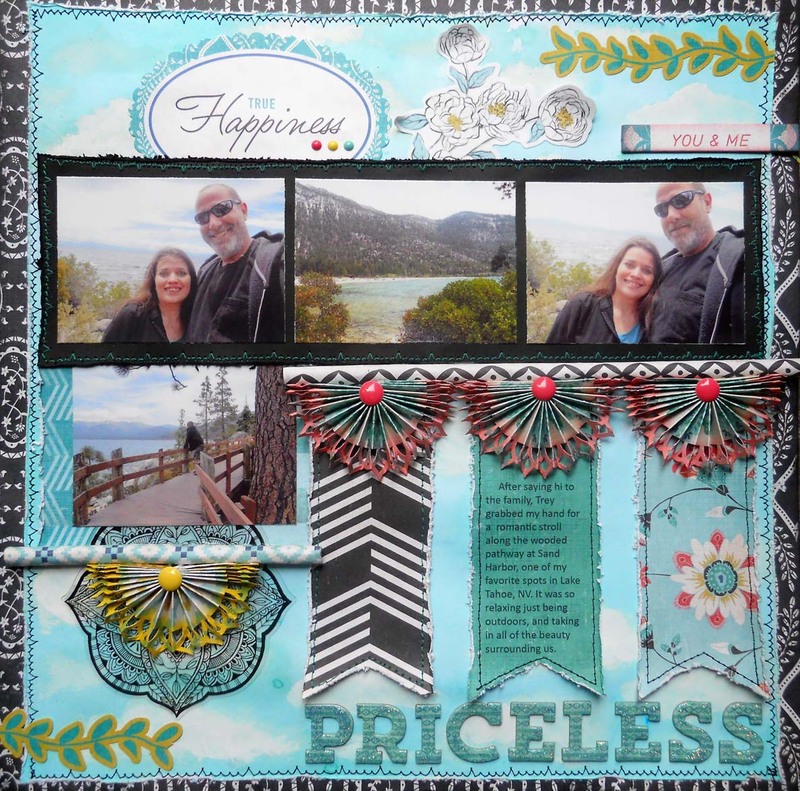 Drea here sharing a layout I made using Basic Grey's Spice Market I Want It All Bundle from FotoBella! I started by coloring the background with Lindy's Stamp Gang Magicals (Sassy Sapphire) onto white cardstock, and used Bo Bunny Gesso and white paint for the clouds. The design and colors are based on this month's case file #205 at CSI, and is what inspired my clouds. 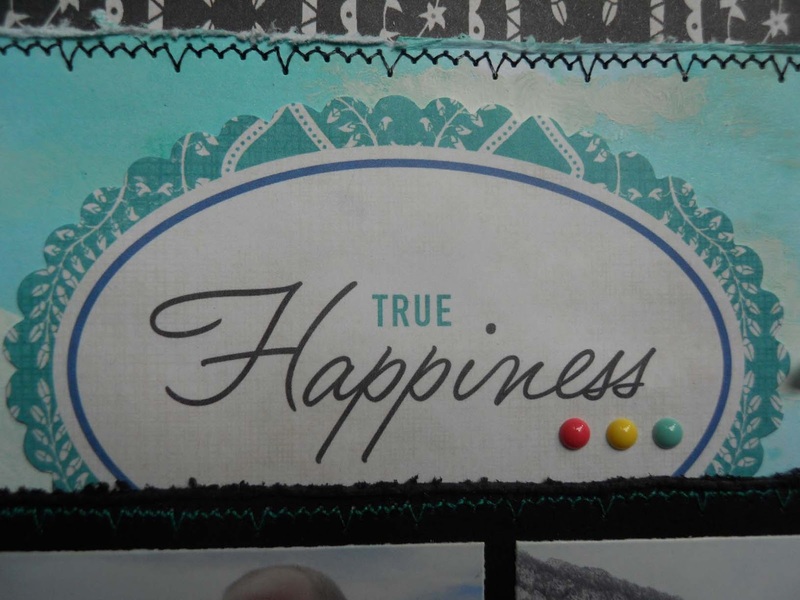 The True Happiness die came from the Spice Market Die-Cut Cardstock and Transparency Forms. 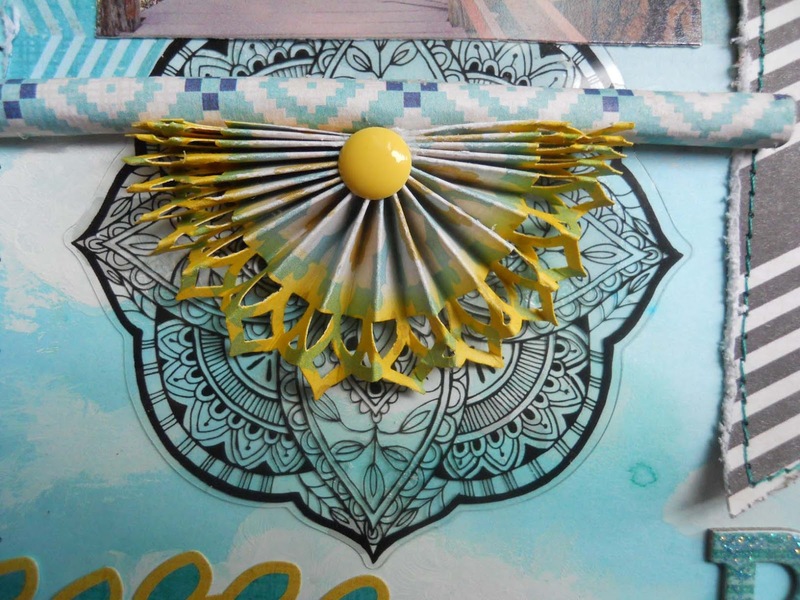 I also used the black transparency from that pack under the yellow half rosette that I made, placing it under a straw that I covered with Spice Market paper. For the half rosette centers and under the True Happiness die, I added My Mind's Eye Chalk Studio 2 Enamel Dots. 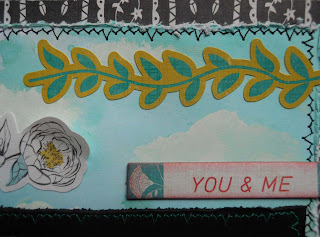 The edges were punched and colored with Worn Lipstick and Mustard Seed Distress Inks. 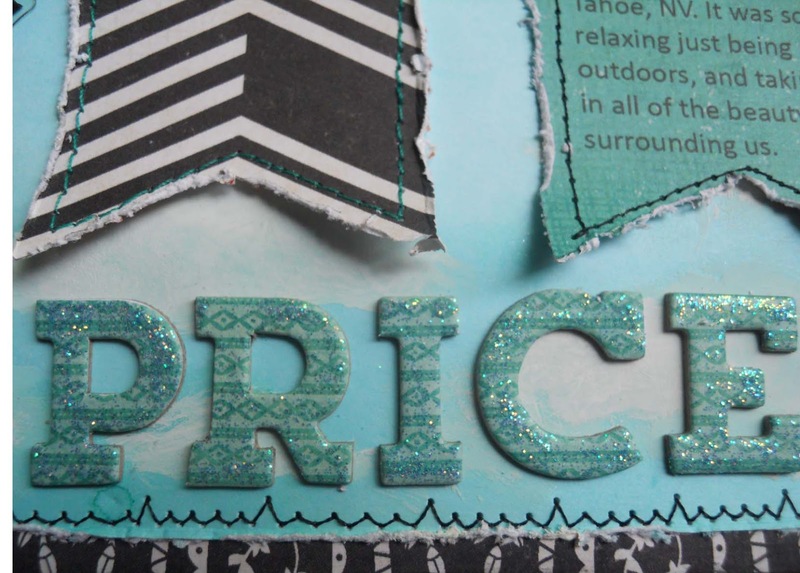 Then I used Photoshop to add my journaling to the center banner piece. The chipboard alphas were covered with Waterfall Stickles for some sparkle! 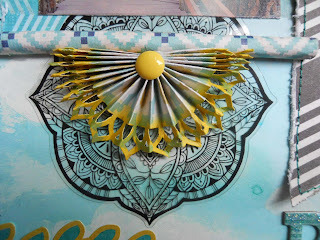 I did some machine stitching around all of my paper pieces, after distressing them with the Tim Holtz Paper Distresser. 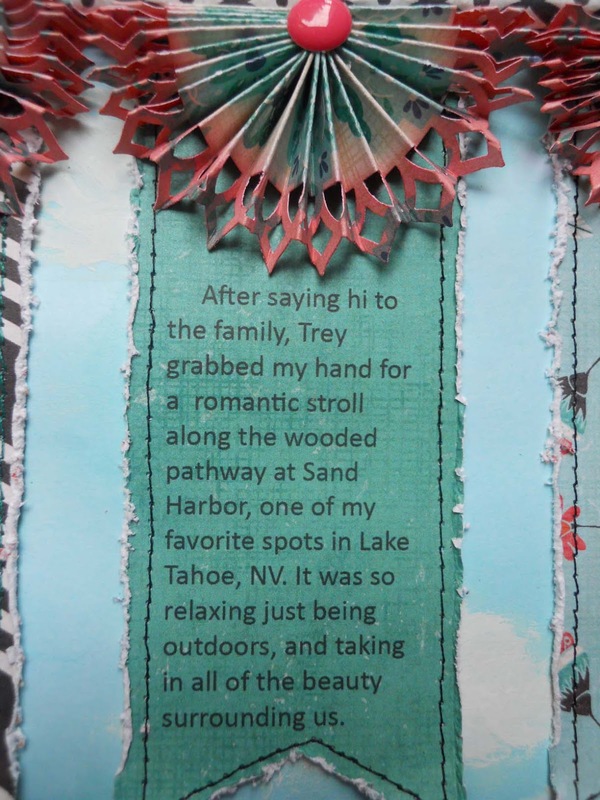 Then I added a strip of leaves to the top right and bottom left of the page from the stickers that come with the paper collection. From the Waterfall Theme Pack I used the die that's under the bottom photo, and the white flowers on top. 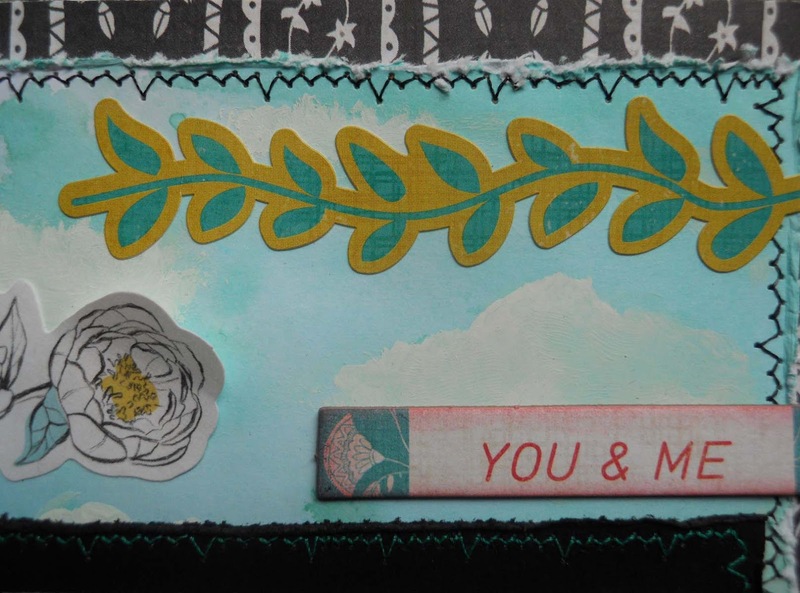 Then I added the You & Me Chipboard piece, inking the edges with Worn Lipstick Distress Ink. Thanks for looking, and be sure to check out what's new at FotoBella!